Master Motors Ltd (MMC), in a joint venture partnership with Changan International, China’s top automobile maker, has officially launched a range of light commercial vehicles (LCVs) at their first authorised dealership at Bilal Automobiles in Lahore. The light vehicles include M9, a pick-up and a 7-seater passenger van. 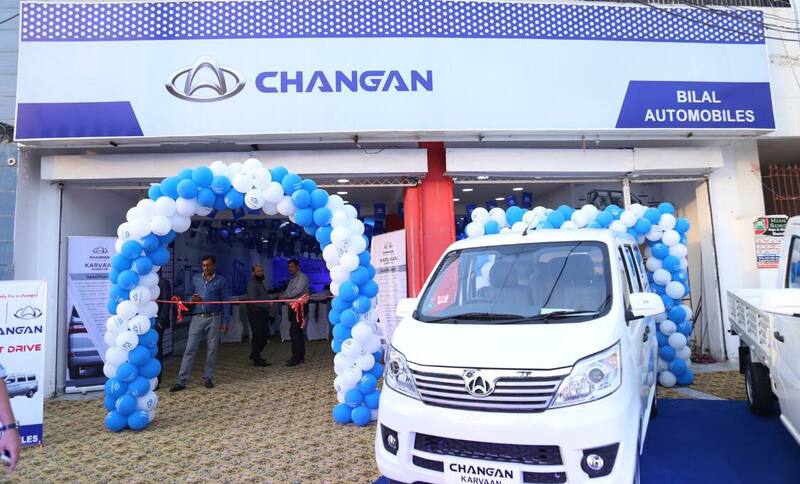 The statement said Changan Bilal Automobiles, the joint venture company, has initially put on sale Changan M9, a pick-up, and Changan Karavan, a passenger van. The statement said that with an ex-factory price tag of Rs919,000, Changan M9 is a 9×5 foot 1-ton pick-up with a class-leading C10 gasoline engine having 1000 cc 16-valve dual overhead cam (DOHC). Similarly, Changan Karavan is a middle-sized, 7-seater van which has 1000 cc powerful C10 engine and AC is present. It comes with a price tag of Rs999,000. Changan is a famous automobile producing brand in China known for making SUVs, small vehicles and cars. The company offers a wide range of vehicles including CS arrangement SUV, Raeton arrangement, Eado arrangement, and Alsvin arrangement; and Oushang, Honor, and Eulove MPV items. Both the companies, Changan Automobile and Master Motors Corporation, signed an official agreement on 29th June at Pearl Continental, Karachi. MMCL already purchased a land for an assembly plant in Karachi and Master Motors already stared of constructions of an assembly plant in Karachi. After ground breaking ceremony in March-2018. In the first phase, they have introduce Pickup and passengers’ van and provides after sales services as well. Their target market will be middle and higher income group. The car enthusiasts and deals have shown a great interest in both the vehicles and said they are satisfied over the design and prices of these vehicles.